Hand and Stone Massage and Facial Spas is looking for experienced and recently graduated estheticians with a strong desire to help others and promote the health and wellness benefits of facials while making appropriate recommendations on product purchases as well as facial frequency. If you have the knowledge and understanding of all spa services and product line as it relates to estheticians and a positive attitude, Hand & Stone is excited for you to become part of our fast growing team! There are many career opportunities waiting for you!! 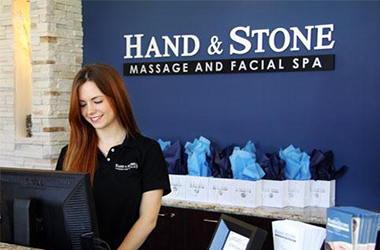 Hand and Stone Massage and Facial Spas is always seeking outstanding people to join our team as Estheticians. Join the Hand and Stone Massage and Facial Spas Talent Network today to stay-up-to-date on our current openings for Lead Estheticians jobs as they become available!